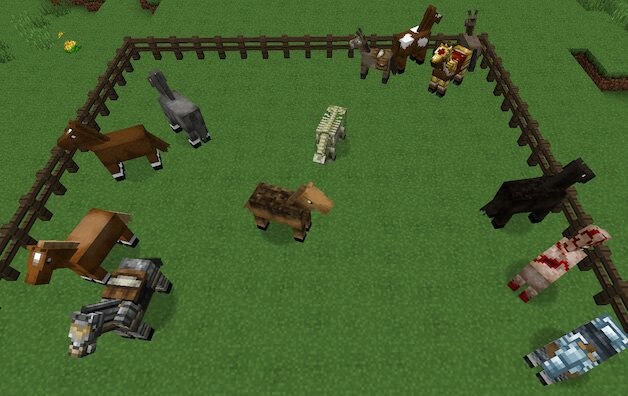 While I've been not paying any attention, a new Minecraft update has dropped! I've skimmed over some release notes on the FAQs and update pages of their wiki and subreddit. Sounds pretty nifty. Best of all, there's a bunch of turtle related content. Based on what I've seen so far, there are some pretty extensive under-the-hood changes to the game including the world data files. If or when we want to update our old server, we'll need to be very careful with the backups and let it go through a slow one-time conversion step. I suspect I'll need to update my old texture pack for new-version compatibility too because many of the blocks and items have changed their internal names. We should also plan to trim the world to a reasonable size again before the update, of course. Has anyone played the new version yet? Anything fun to share? Any interest in blowing the dust off turtle's server and considering an update? I've been running a Minecraft Pocket Edition Realms server for my daughter and her cousins, and we're using this update. It's good. The water positively teems with life now. It's actually maybe a bit overdone. We have a small lake near the village that has half a dozen dolphins, some turtles and a load of fish in it. I managed to breed some turtles, too. I have a wicked trident, and I found treasure map in a sunken ship. Also boats seem a lot better. Not sure if that happened in this update or not. I fired up my first new local testing world for 1.13 last night, and _wow_ you're right. The water is packed with new stuff. Honestly, I'm surprised that the game keeps up as well as it does on my ancient hackintosh with the thousands of wriggling kelp blocks within my view. I saw my first sea turtles on a nearby beach, and they're adorable. I found my first shipwreck, swam with dolphins, and got attacked by the new drowned zombies all within just a couple nearby chunks of where I spawned. It quickly made me wonder: how badly will the new drowned zombies break any old mob traps? I think I read somewhere that regular zombies can "turn" when submerged long enough, which presumably means the old drowning-style traps are no good for them. I've only played with some of the snapshots but it looks like a pretty great update. Aside from the massive underwater content there's new types of wooden blocks, prismarine stairs and slabs (! 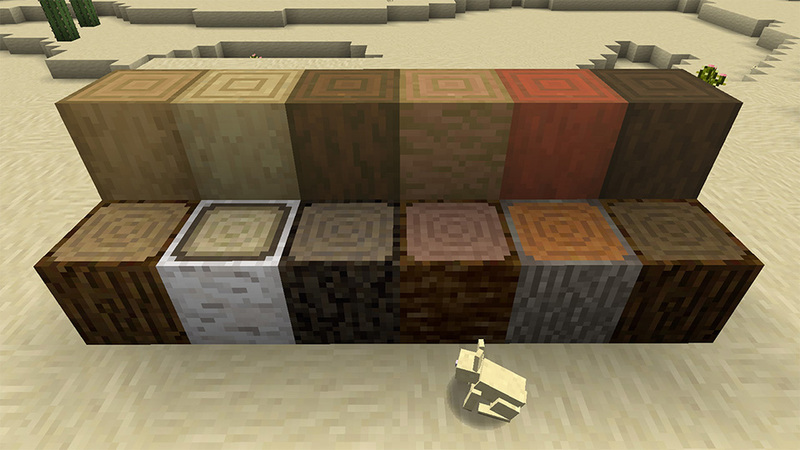 ), uses for soul sand and magma blocks, etc. The ability to 'waterlog' certain blocks too! Exciting stuff. Now I won't even be safe in the water????? But shipwrecks, Drew! Buried treasure! And yes the undead corpses of those shipwrecked sailors will now hunt and kill you with sharpened tridents. *Hoping we keep the same seed for a few reasons. A) We're in the middle of some massive oceans, so we don't have to go too far to find what we need. B) All of our current handheld maps and our item frame map walls shouldn't explode. I don't know for sure about that but I'm crossing my fingers. C) We'll know where most everything is with T's web map, so that'll cut down on explore paths and world bloat (I promise ). 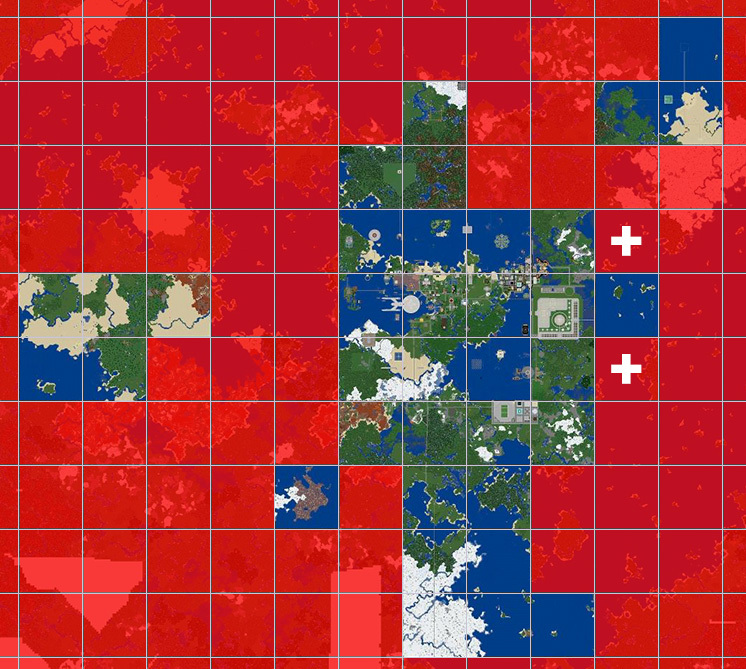 There's so many file-structure/name things changing in 1.13 that we may not even get a updating world map with the mapping tool that T uses. It would be nice to have an old reference on hand even if it's fixed in time. 1) The chunk south of the squid trap needs to stay. Reason: The trap must be at least 128 blocks from water sources in order to work. I spent a crap ton of time plugging and filling in order to make that thing work. The last trim resulted in an ocean to the south which Turtle had to fill up. 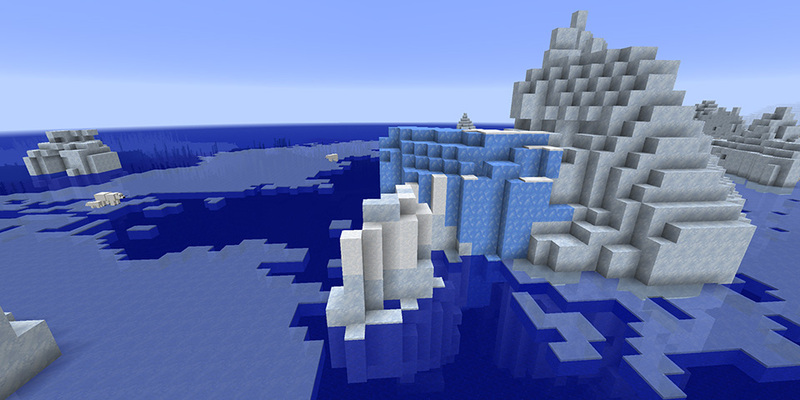 2) Are the ocean chunks we keep going to spawn all the new things? I've got some bad news for you buddy. Squid don't spawn 'wherever there's water' like they used to, they only spawn in the ocean and rivers now. All land-based squid farms are broken. : Maybe Brad could work his biome magic on the trap before we upgrade? If we keep the same seed it'll pretty much stay the same in the southern chunk. Old ocean chunks should get cod and (probably) Drowned. I don't think kelp and seagrass will generate - most likely have to plant those manually if you want the new look. Not sure about temperature... I'm guessing they just stay mid-temp? If they get colder or warmer we'll get extra fish/dolphins depending on which way they go. Well, if the trap doesn't work, yeah, maybe Brad can make it work, which means the south chunk thing still applies. Or, we could just forget it and the new guys (if ever we get any) will have to source their black die the old fashioned way (by clobbering squid north of Drew's joint like we used to ). If we decide to forego it, I will go out there and remove all the trap materials and repurpose them elsewhere. Also, I suggest that we replace all of the ocean chunks to the south, including Jessy's vacation house. She has no time for MC right now, anyway, and told me "Well, I think I've done everything you can do in this game." My little MC helper is all growed up. Sad days! Anyway, I would rather have new oceans that spawn the new stuff. She can (and will) build a new thing if she ever gets the time. Turtle would have to say, but can we kill off the chunk just north of the Guardian trap? I know the little view thing is kind of neat, but it would better as new ocean, especially considering how easy that chunk is to get to for exploration. That chunk would just fill in with land if we killed it off. Save the Monument Tour Company! 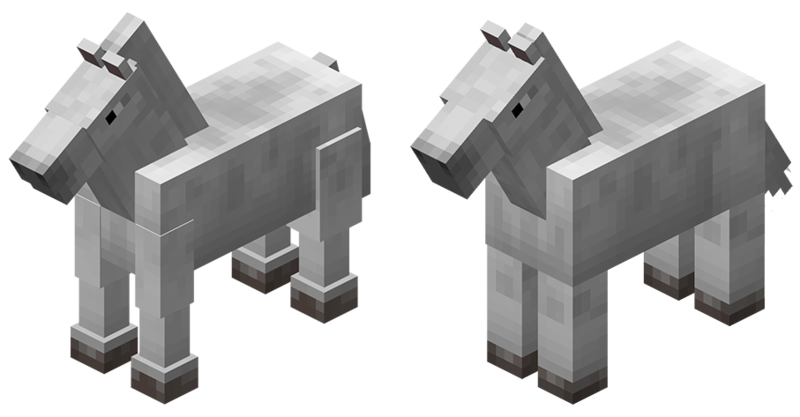 Also, mojang is into the pre-pre-releases now for 1.13.1, so maybe wait for that more stable update. And OptiFine is at 70% today, so hopefully the two will be complete around the same time. I also want to try to figure out a way to parse and strip away part of the supporting world files that track "visited" chunks for generated structures like monuments. I have the sneaky suspicion, though I need to confirm this, that new things won't generate in places where existing chunks were deleted. Just deleting the .dat files won't reset the villages and whatnot? Or are you talking about monuments specifically because we keep that .dat file around for the guardian dropper to function? [edit2]: .dat no longer used in 1.13? Last edited by 709 : 2018-08-16 at 19:17. Yeah, the extra dat files track positions of things like villages, monuments, etc. 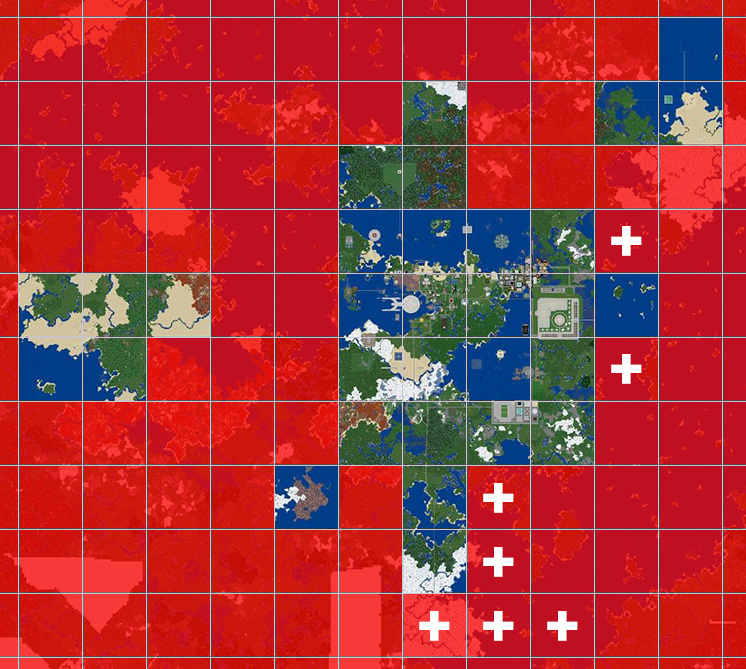 If you nuke it, it should cause new ones to be generated in new chunks, but any special effects around existing locations will hypothetically cease. Guardians won't spawn at and patrol an area if the monument data is gone. Villagers won't congregate and breed if their village data is gone, but there might be a special case for them magically designating a new area as a "village". You can look inside the files with apps like NBTExplorer, but doing a massive search-and-destroy while preserving specific entities would require writing a small custom program. Not rocket science, but it's something to consider. This format is no longer used in 1.13. They are no longer seperate files from chunks, and instead included in chunk files/format. …which means that although my concerns were valid for previous versions, maybe they're not any more? This warrants some more investigation on my part! So yeah... maybe nuke the structure .dat files (except for monument? ), world trim, go through the weird new 1.12->1.13 conversion and all may be well? My trading maps will probably go kaput but oh well. No, let's not do that. I'm game for whatever here. I'm good with change and all. I've started porting my resource pack to the new format. There's still plenty more to fix, but if anyone wants to try out my very in-progress update (and maybe point out anything that's mising or totally broken! ), this link will always have the latest and greatest until I call it done and ready to release. History of changes here. I did some farting around yesterday just to see if that .dat thing might mean structures and whatnot would be placed differently between versions, and the results were: not really. Out of 5 villages, 2 temples and 1 monument found in a random 1.12 seed, all but one village spawned at the same place in 1.13, with the other village just not there at all. It also looks like the chest data for villages, temples, et al are stored in the level.dat file, not in the associated villages.dat etc. So yeah, chests would be empty or nonexistent if we just wiped with the same seed. So, new seed I guess? Bummer, but not that huge of a deal. I was meaning to move the 'Map Wall' away from downtown anyways as I suspect all of those item frames might be impacting performance, so if those maps go boink no biggie. I will build again. Last edited by 709 : 2018-08-19 at 11:28. I took it for a test drive and it's looking great. Found a couple things that you likely haven't gotten to yet and a couple of minor broken things. Broken: the desert sand block orientation (see below) & both the inventory icon and handheld item for the Totem of Undying. I suspect because it's animated in our pack and 1.13 doesn't like that? New wooden trapdoors in 1.13. The new pressure plates + buttons are updating and look good. The ends to the new stripped logs. I don't mind the default color & texture of the sides (well, maybe color could be tweaked), but the ends should reflect our pack (or maybe we go back to square ends on our pack?). Nice investigative work! That'll certainly save me some time. edit: Yikes. I see what you mean about the horses. The stock texture isn't too bad, though, so it could stay if you don't feel like changing it. Whew… some progress! 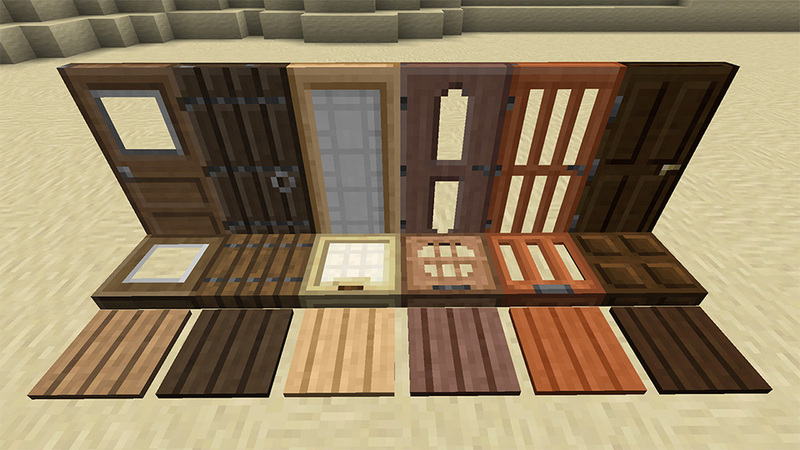 Horses and horse armors should be better now, and I've made new trapdoor designs to match our doors.